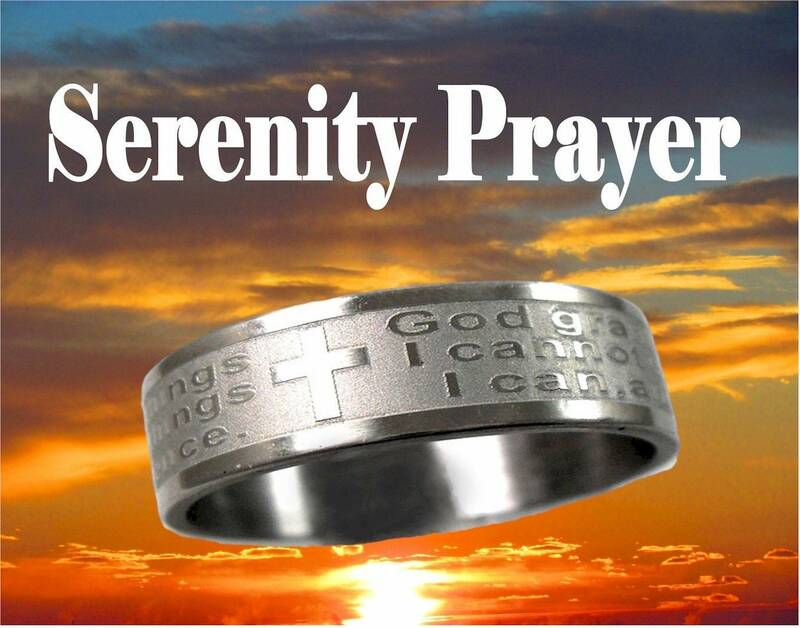 Silver 8mm Wide Serenity Prayer Lord’s Prayer Ring. All Stailess Steel. 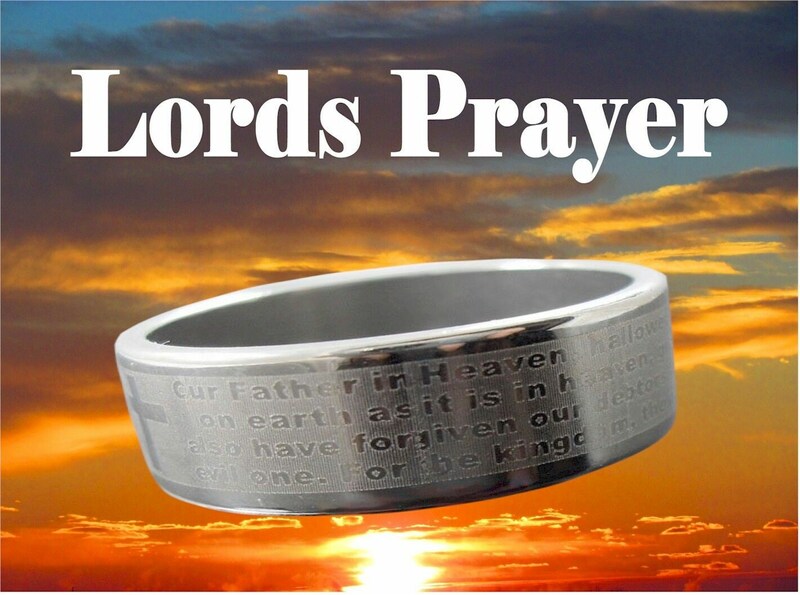 High Luster finish and a thick substantial feel. 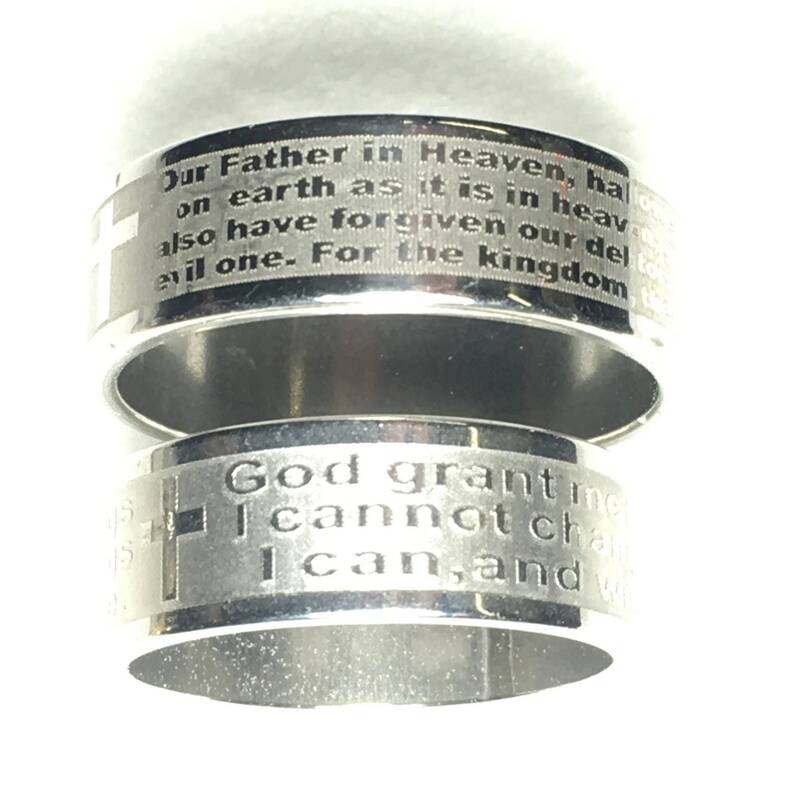 Each ring is the perfect width at 3/8" (8mm) wide and at a perfect low price! 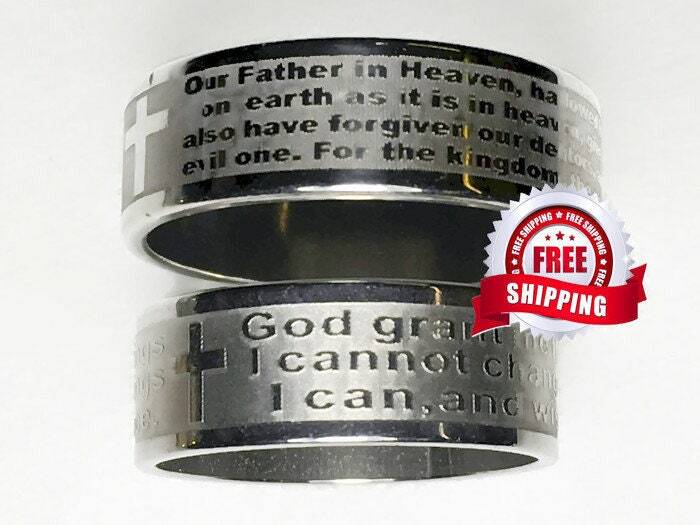 Made of Stainless Steel, your ring will never aggravate your skin, dull, or tanish!